There's just something about heroes. Soaring through the sky or charging across the earth, brows furrowed, ready for action. Halting the spread of evil, or simply offering assistance where they can. Pursuing an ideal of justice, carrying the hopes of the people on their back. Aspiring to something greater, something simultaneously deeply human and beyond our unsteady hands. 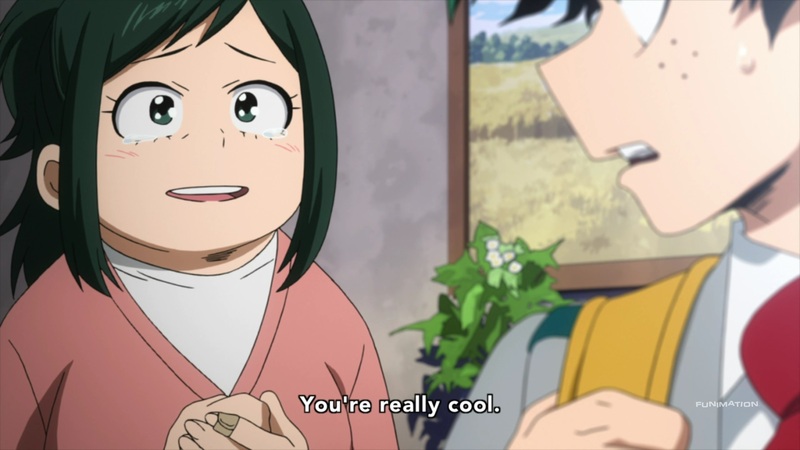 My Hero Academia absolutely loves heroes. It loves their spirit, it loves their style, it loves their grounded reality and their highest ambitions. 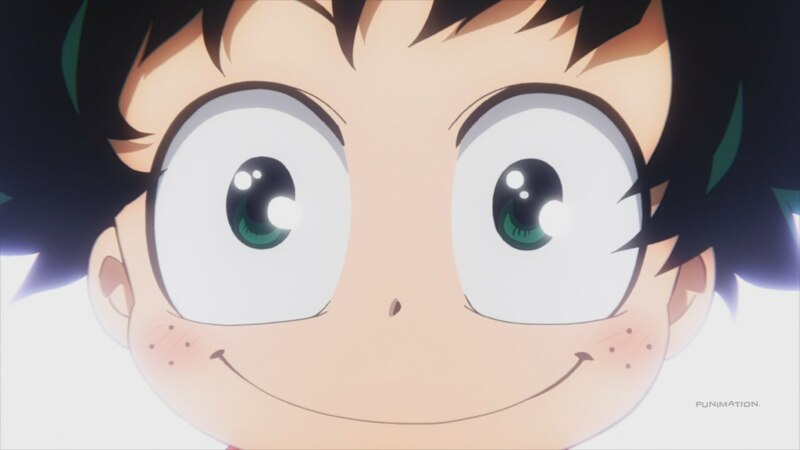 Its protagonist Midoriya has idolized heroes from a young age, and the show shares his enthusiasm. In a world where superheroes aren't just government-sanctioned and regulated, but also commercialized brands, he still sees something pure and inspiring in their actions. 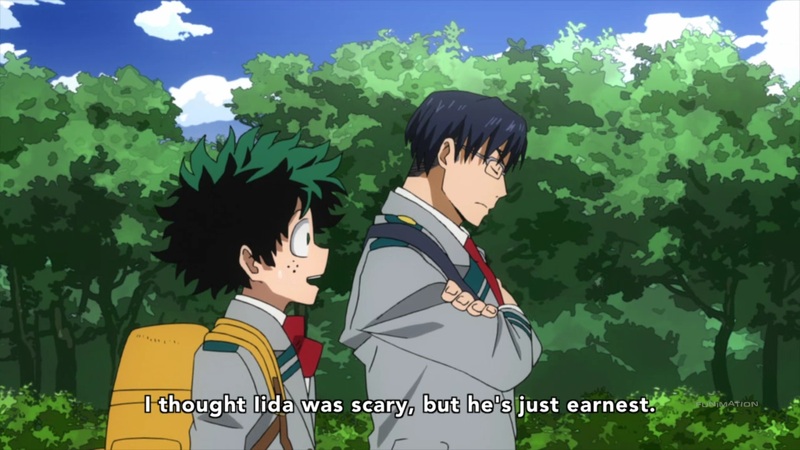 The path to heroism may be rocky, but Midoriya never doubts the beauty of his pursuit. 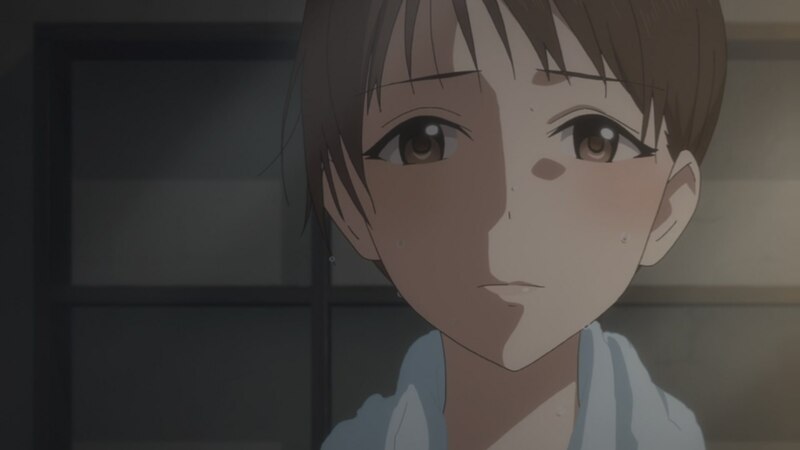 The show is actually somewhat noteworthy for its positive view of heroes. In the modern world, we often challenge heroic ideals, and the motivations of the people who pursue them. In American media, the bright-eyed optimism of the silver age gave way to post-Watchmen ambiguity, and now our on-screen heroes battle their personal demons as often they do their enemies. 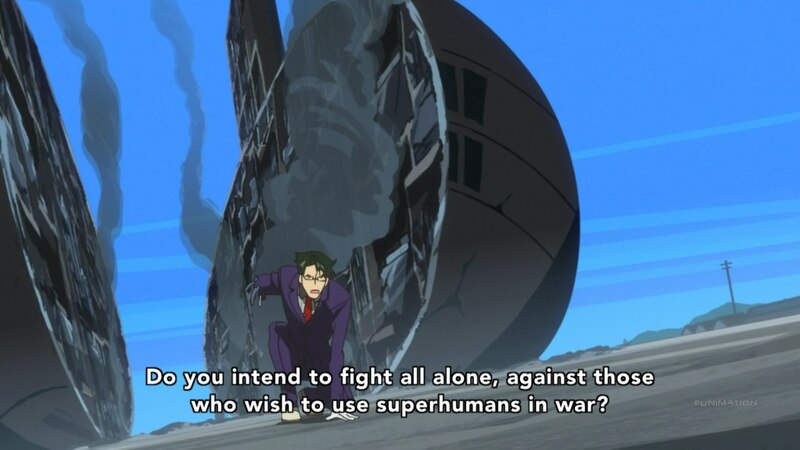 In Japan, modern revisions of classic shows like Yatterman and Gatchaman don't just challenge unquestioned heroism, they often prioritize the hypocrisy and potential tragedy that can erupt when a hero is too certain that their justice is correct. This spirit of self-reflection and revision is important. The world is too complicated to embrace an unchallenged sense of righteousness - there are few things more dangerous than unquestionably believing your view of right and wrong are absolutely correct. 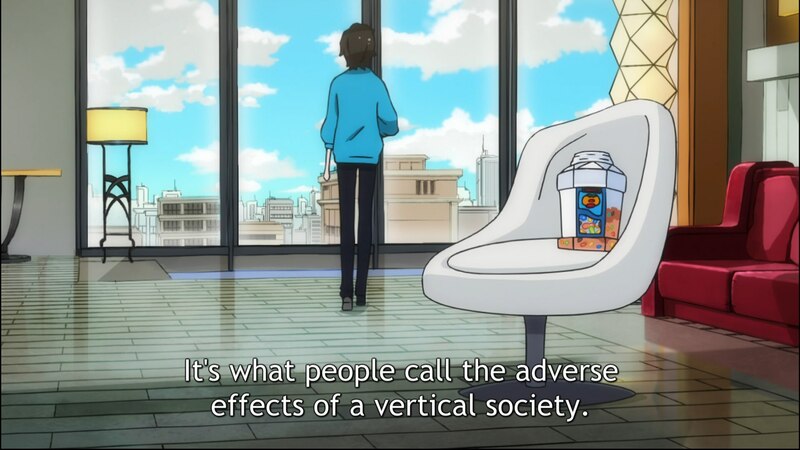 And so we need shows like Gatchaman Crowds , which question the significance of heroes in the internet age, or Concrete Revolutio , which put the coopting of heroic ideals in a clear historic context. 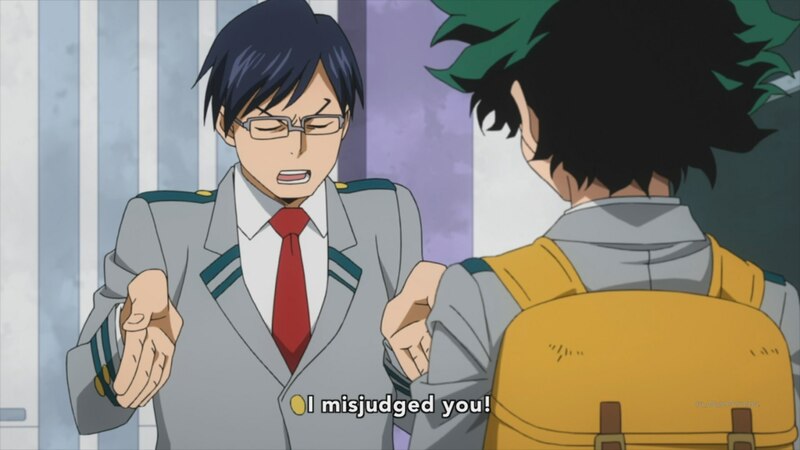 Self-reflection is always good - but that doesn't make My Hero Academia any less great. There are reasons we love heroes; clear, important reasons, reasons that inspire us to be greater, achieve more, be more charitable and strong. In challenging the simplicity of some views of heroism, we must not abandon or forget the reasons we collectively find heroes inspiring, and the true lessons we can draw from their actions. 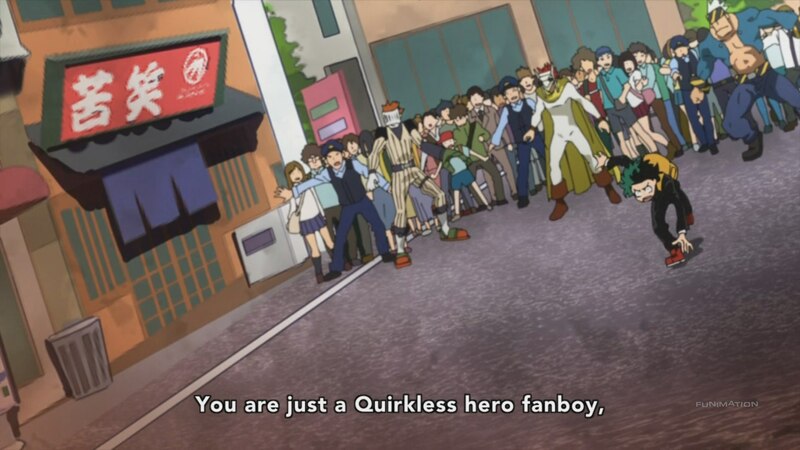 My Hero Academia opens with a fairly routine shounen premise. 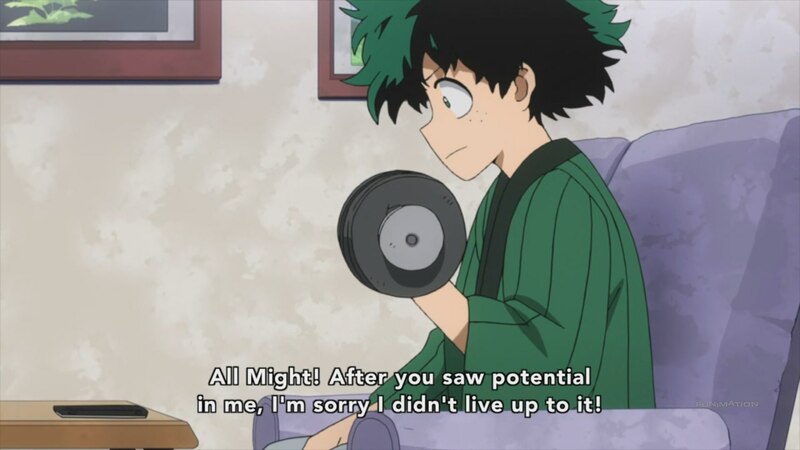 Midoriya starts out without a superpower, a “Quirkless,” but through dedication and lucky circumstance, he ends up inheriting the strength of All Might, the greatest superhero. 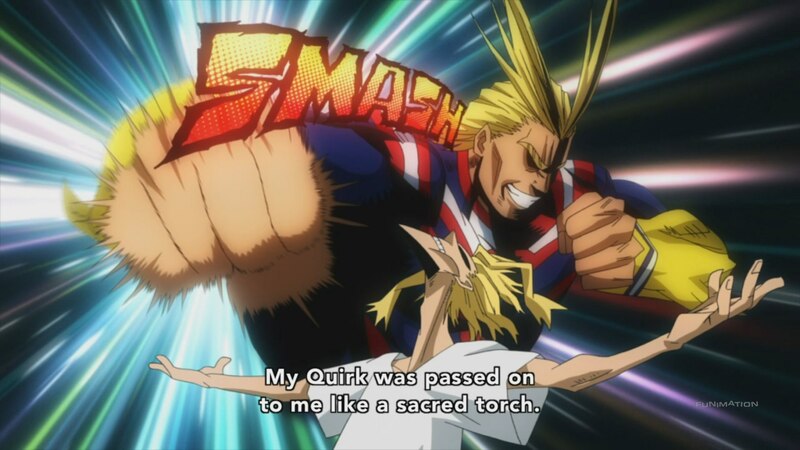 Of course, this power doesn't just fall into his hands; as All Might says, Midoriya embodies the “heroic spirit” even before he has the strength to back it up, and his journey to earn All Might's power involves grueling training and constant exertion. 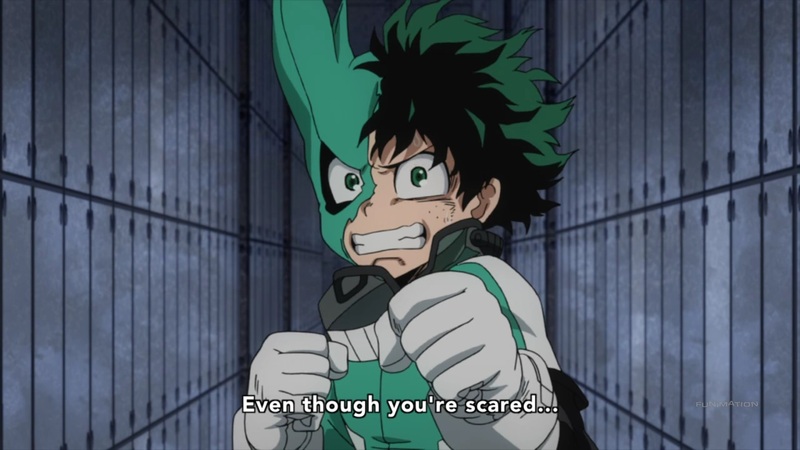 So far in the anime, Midoriya's ability to use his power has been pretty suspect; he generally destroys his own body every time he employs it, and most of the time simply gets by through optimism, clever application of his hero knowledge, and a dash of luck. 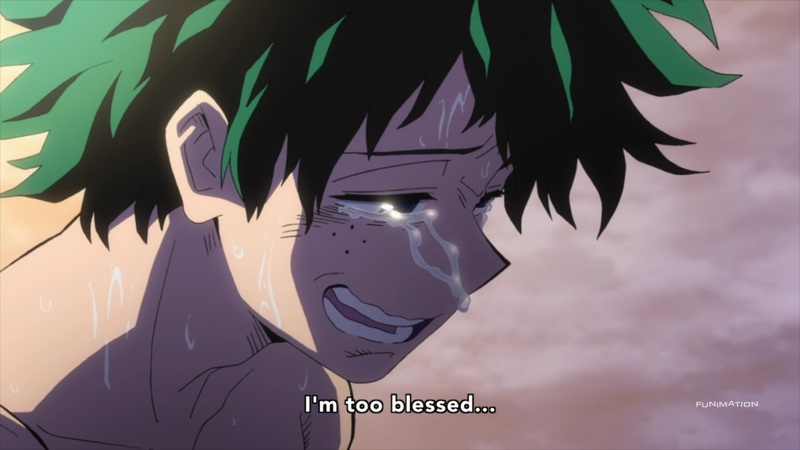 More than anything else, Midoriya's “power,” and the power of the heroes who fight beside him, is their confidence in their eventual ability to succeed. This fits nicely into Shounen Jump 's “friendship, training, victory” wheelhouse, but it's also a kind of optimism that digs at the nature of what makes heroes rightly inspiring. 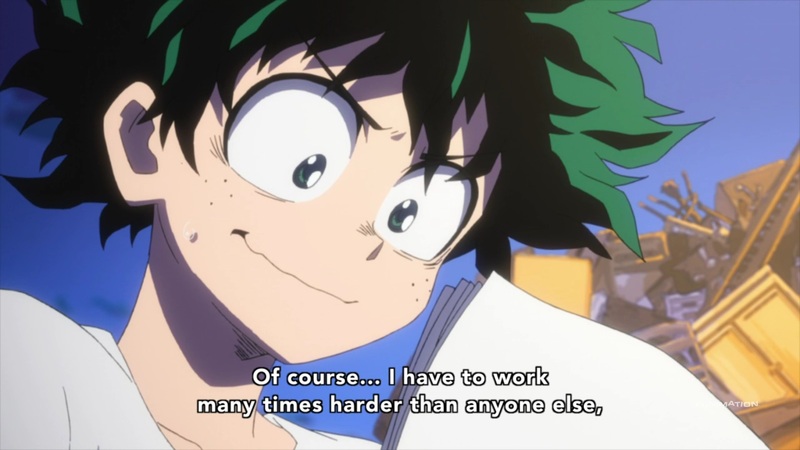 My Hero Academia 's heroes aren't just egotistical powerhouses or wild-eyed dreamers - they're passionate and dedicated individuals with clear goals. They work hard, set high but achievable expectations for themselves, and consistently move towards the place they want to be. 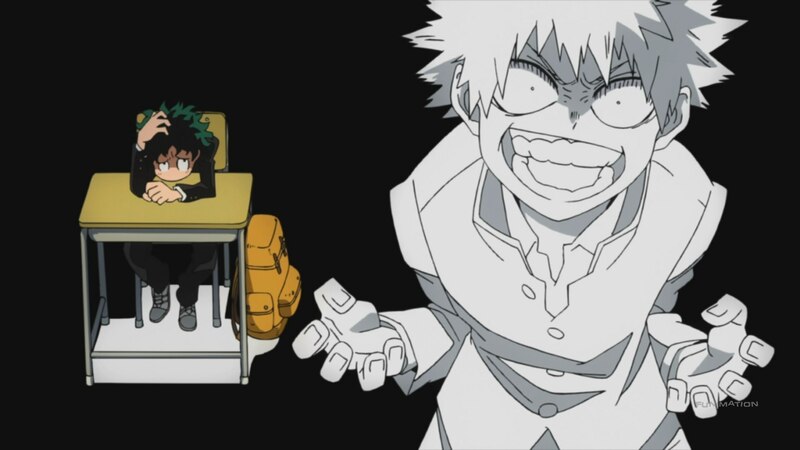 Midoriya's childhood bully Bakugo is actually noteworthy because he's the one character who doesn't embody this dedicated spirit - he's angry and unstable, and the show does not try to apologize for this. 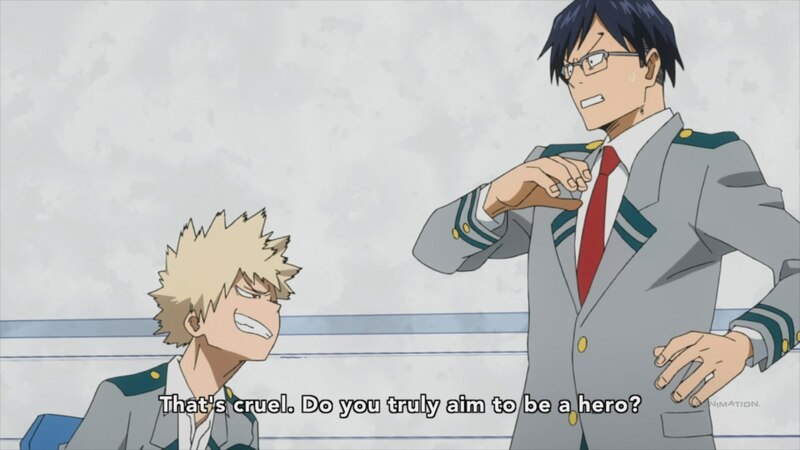 Bakugo's behavior isolates him, while in contrast, his classmates are quick to acknowledge the efforts of their peers, expressing all the maturity you'd expect from high-achieving students at an elite academy. 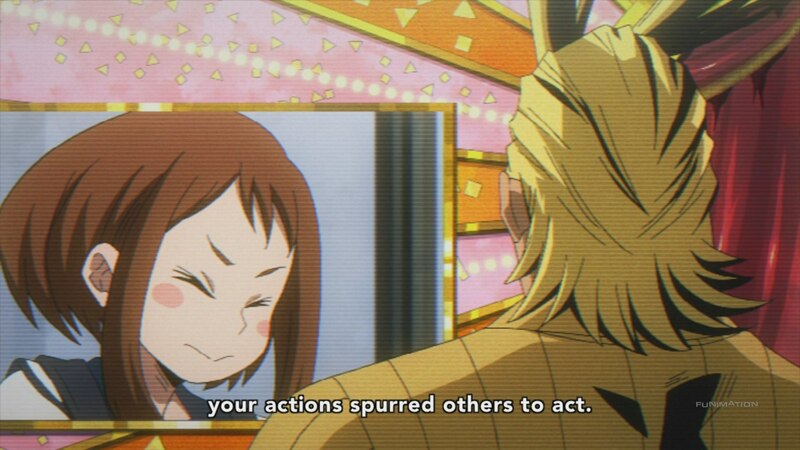 In a world that often distrusts heroes, My Hero Academia dares to imply that these heroes-in-training are not tortured or delusional, but simply people doing exactly what they think is best in the way they feel is most effective. Of course, if My Hero Academia 's stars felt they could actually save the world themselves, they really would be unhinged dreamers. To think you can save the world requires not just a dangerous faith in your own idea of justice, but also a wild, absurd arrogance regarding the scale of your power. Heroes are single individuals - single individuals are not going to end poverty or solve systemic bigotry, regardless of how many villains they beat up. And some issues cannot be solved through force or effort whatsoever; some issues just come down to intractable differences of human priorities. No matter how hard you try, there is a limit to how much good any one individual can do. 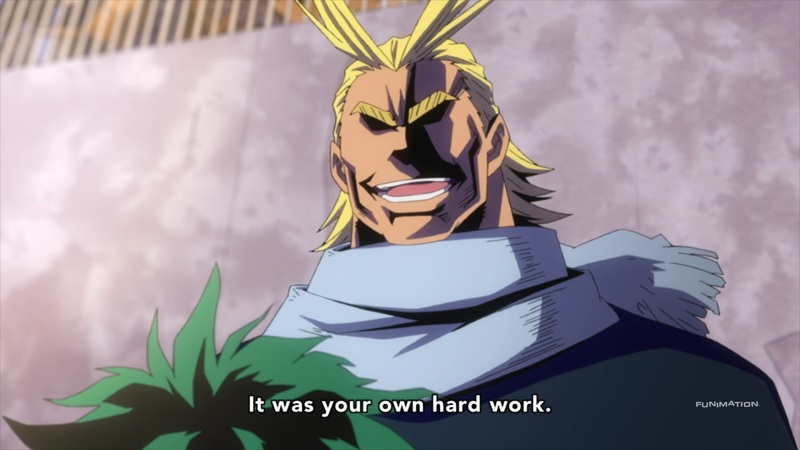 All Might articulates this directly, when he explains why Midoriya was allowed to pass the school exam. 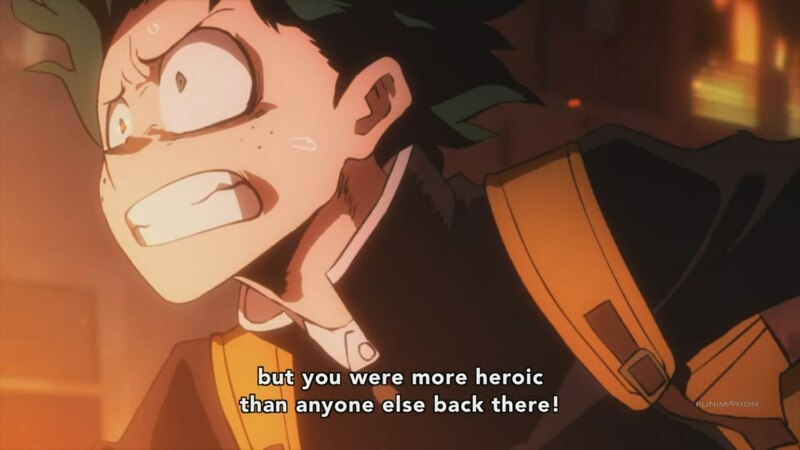 Midoriya's actions didn't conform to the challenges set before him, and ultimately almost got him killed - but through expressing the spirit of self-sacrifice and saving another, Midoriya inspired one more person to action. 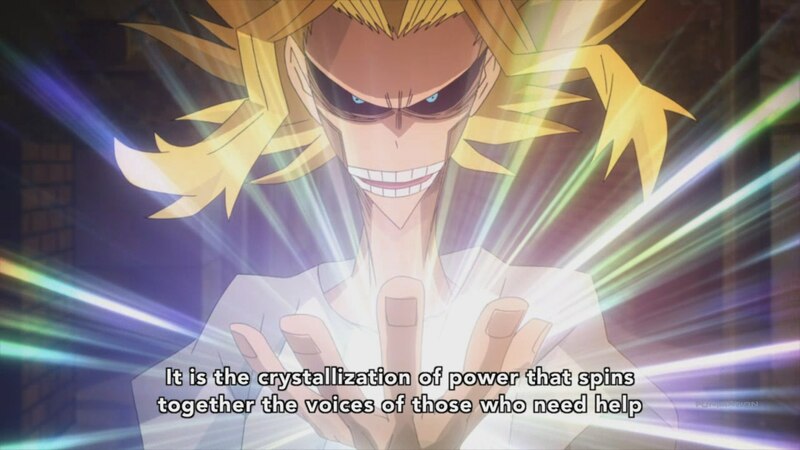 All Might's power “One for All” embodies this instinct - the power he uses, and the power that he passes on to My Hero Academia 's protagonist, is built on many generations of new heroes being inspired by old heroes' courageous actions. 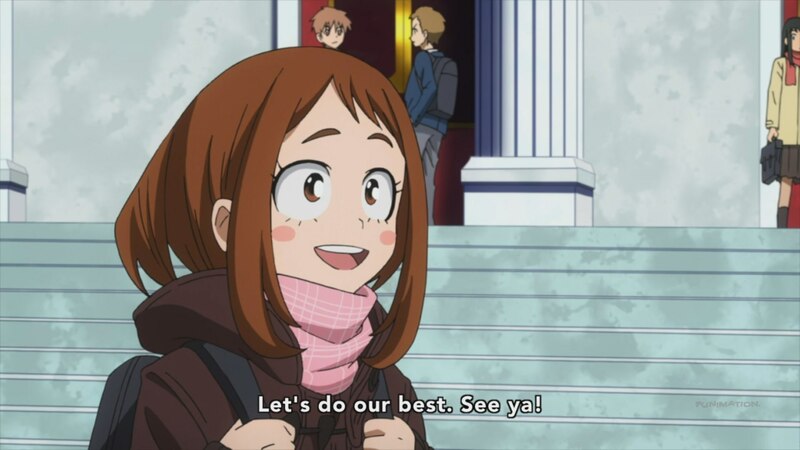 We need the optimism of shows like My Hero Academia precisely because the world is a dark place. We need faith in our ability to create a better world, and it is heroes that inspire that faith. The opposite of heroism isn't villainy - it's terrorism. Terrorism generally isn't intended to actually “defeat” an enemy - it's designed to sow fear and discord, making people lose faith in their security and respond with violent actions themselves. In contrast, great heroes know they will not themselves fix the world, but believe that their actions can inspire optimism, confidence, and self-sacrifice in others. Great heroes lift us up and help us work to embrace our own better instincts. By sacrificing of themselves, heroes are able to go beyond human frailty and become an ideal. 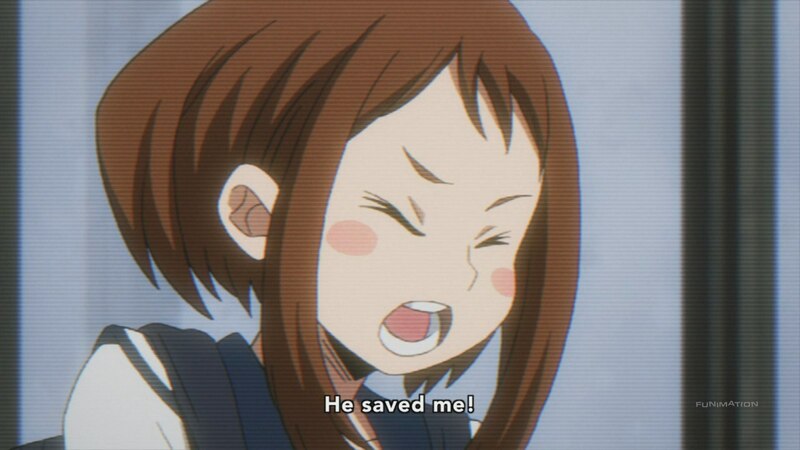 Why is why it's so important that My Hero Academia 's heroes are, well, heroic. Not in that they are strong and have cool powers, but that they embody the tenets of classic heroism. Always putting on a strong face to inspire others, even when it's painful or they're not confident. Embracing a spirit of charity, even when it's not glamorous and won't win you fans. Demonstrating humility and grace in victory, and renewed determination in defeat. 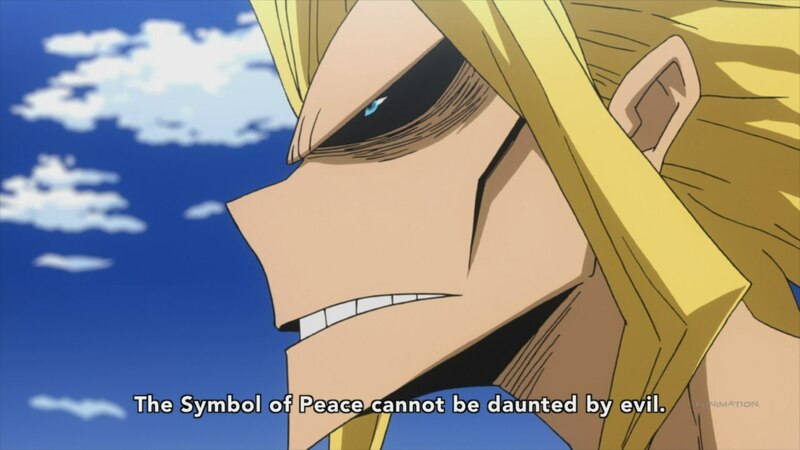 By consciously struggling to embody these virtues, My Hero Academia 's heroes become something we can actually relate to. There's an element of performance in classic heroism, something that makes them more like rock stars or pop idols than police officers. Heroes must always be strong because they must represent strength - they must be our confidence, and show us how great we can be. And that “we can be” is a bit of a sticking point - heroes can't just inspire complacency, they must inspire people to heroism themselves. 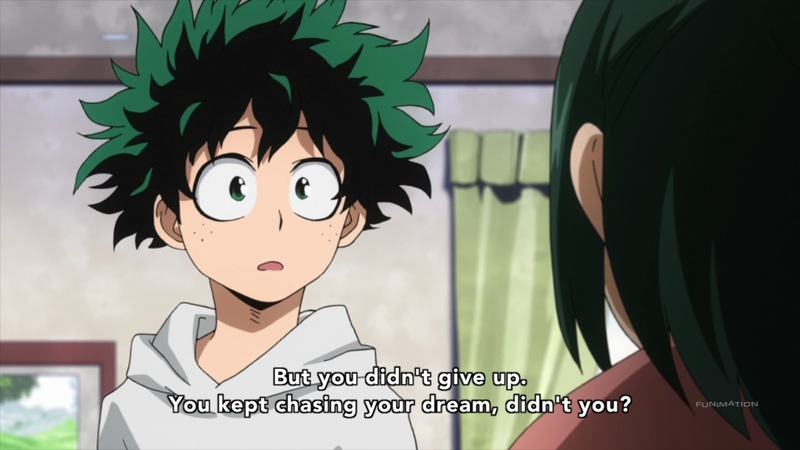 My Hero Academia 's stars aren't just strong - they embody a strength we believe we could make our own. 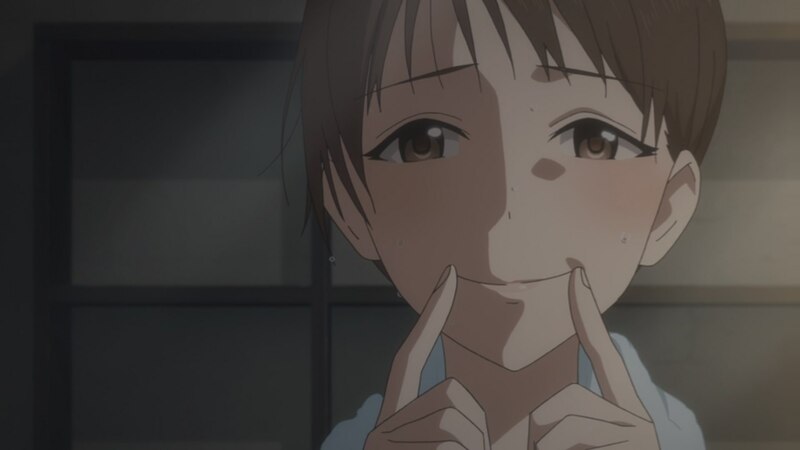 It's a form of aspirational identity you see in a lot of anime, from idol shows like Cinderella Girls to something like Madoka Magica . The work of becoming an ideal always means sacrificing of yourself, of being stronger than you think you can be. There's a tragedy in that, to the point where many would say this performative strength is not worth doing, or a lie. But belief in that “lie” is what helps us communally rise above and lift each other up. Saying things will be okay when you're not sure they will is an act of faith and compassion; becoming a symbol of that belief is the purest expression of self-sacrifice, is what being a hero truly means. 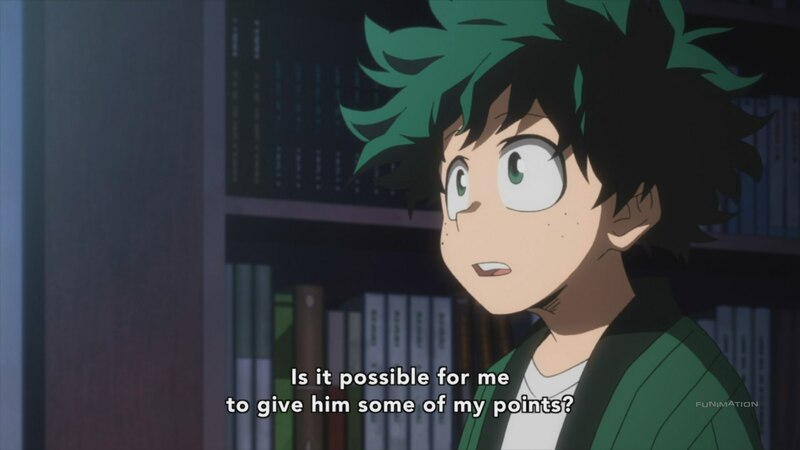 So shows like My Hero Academia are important, and understanding that people love heroes for valuable reasons is important, too. Don't let it be said that hope and optimism are simply an unconsidered stance; in the face of a world that often demands more strength than we possess, it is often only our positivity and optimism that can carry us through. Idealism, optimism, and honest effort are all values well worth believing in - and heroes of all kinds dedicate themselves to the hard work of building that belief, and inspiring a chain of positive action. We must challenge our idols, yes. But we must also remember why we raise them up in the first place - because they inspire us to be greater, and make heroes of ourselves.